This entry was posted on November 1, 2018 by Valentina Chiriacescu. Here are the cutest dresses for your little girl. Keep things simple, as she is still young, but choose the outfit that will make her part of the fairytale. There is nothing better than a dress with a little glitter, sequin, or lace. 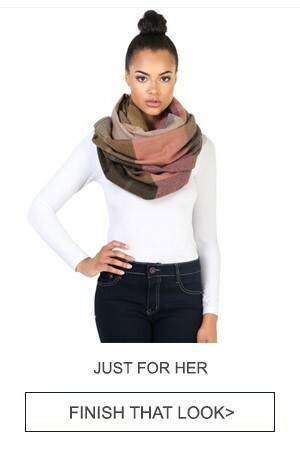 There is no way your girl will go unnoticed with this elegant choice. Even if you want her to shine or to be natural, you have a wide range of options to choose from. Here are some of the gowns you can choose from for the big gathering or simply for a photo session. Reindeer short sleeve Christmas dress - Get it here! Rhinestone green Christmas dress - Get it here! Cute burgundy Christmas dress - Get it here! If your girl is already a fashionista, then this is the right place to find her the dress of her dreams and to match her personality. 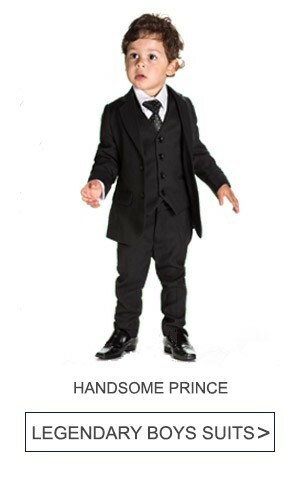 If she wants a spectacular appearance, then you can go for a fancy dress. You won’t be disappointed with the result and for sure your little girl will be more than thrilled. So if you make a big deal out of the Christmas events, then your little girl’s gown should be a little extra. Here are some examples that can inspire you to make the best choice for 2018 Christmas. Fancy Santa dress - Get it here! Fancy silver Christmas dress - Get it here! Fancy golden sequin Christmas dress - Get it here! If your little girl is not a big fan of complicated dresses, there is no point in making her wear one. Here are some other options for a Christmas Outfit that will work just fine. Keep in mind that she should feel comfortable first. This way, everybody is happy. You can mix and match festive leggings with a blouse, or you go with a onesie for a cozy approach. And don’t worry, these Christmas patterns are the ones that will help her make a charming appearance. Comfortable Christmas outfit - Get it here! Knitted Christmas dress - Get it here! "Let it snow" Christmas dress - Get it here! Christmas is not only about Santa, but about traditions and family meetings, decorations and special occasions. So making sure your girl get in the holiday spirit is one of the things that have to do. 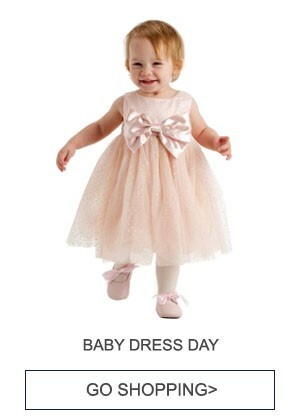 That’s why you can choose a dark green dress for your little girl that will make a statement about this celebration. This is an appealing color for girls and it brings a dazzling look for any girl. Velvet, tulle, sequin - all these precious textures are a great fit for a Christmas dress. See here what combinations you can choose for your little girl. Green sequin Christmas dress - Get it here! Green tulle Christmas dress - Get it here! Elegant green Christmas dress - Get it here! Burgundy will never go out of style and it's the best alternative for a classic red dress this season. There are so many choices for this color, and your girl will make an exquisite appearance for sure. Buy a burgundy dress that will perfectly fit in the family photo for this Christmas. If you choose a dress with pearls and embroidery, your little girl will melt hearts for sure. Choose the dress your little princess deserves this Christmas. Even if you decide on a long-sleeved dress or a floral patterned one, your little girl will certainly melt hearts. Burgundy Christmas dress - Get it here! Long sleeves Christmas dress - Get it here! Burgundy floral Christmas dress - Get it here! If you’re a fan of a classic celebration of Christmas, then you should definitely choose from a wide range of red dresses. This choice will bring warmth and joy at the dinner table and your little one will also impress once she will get her picture with Santa. Be festive until the end and add some golden, tulle and sequin, or keep it simple and choose a plain red dress with a gorgeous waistband. Precious red Christmas dress - Get it here! Red sequin Christmas dress - Get it here! Simple red Christmas dress - Get it here! Do you want to add some patterns for your little girl’s outfit? Plaid is the answer for this Christmas. A tea-length dress with a colorful pattern is a great fit for this occasion and it will make your girl look all cute and adorable. For the Christmas dinner or the school recital, this type of dress is the right choice, as it keeps a casual look and yet will look really festive. Here are some recommendations you can choose from. Red plaid Christmas dress - Get it here! Red velvet plaid Christmas dress - Get it here! Red & green plaid Christmas dress - Get it here! In case there is more than one young lady you have to choose for, don’t hesitate to match their outfits this Christmas. This way, you avoid creating any tension and you get double the cuteness. As your big girl will probably have a word to say, show her some simple, plaid gowns that she will immediately adore. This way you’ll make sure all the family is happy and the girl you enjoy the moments and make great memories. Flocked plaid Christmas dress - Get it here! Plaid pattern Christmas dress - Get it here! Blue Christmas dress - Get it here! Green tartan Christmas dress - Get it here! Golden Christmas dress - Get it here! After choosing the perfect dress, the next step is deciding about the shoes that match it. As we all know, no outfit is complete without the right pair of shoes, and if it’s about your little girl, you should take into consideration not only the appearance, but the comfort level. She has to be as free as possible to run freely around the Christmas tree. 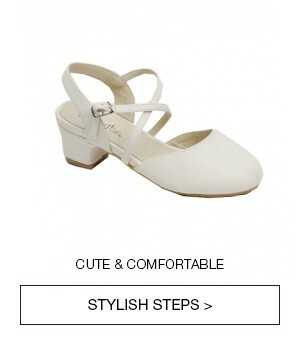 White Christmas shoes - Get them here! Red Christmas shoes - Get them here! Golden Christmas shoes - Get them here! Now you are ready to get the best Christmas & Holiday dress or outfit for your little girl! Explore our latest collection of designer brand pieces and discover items for this special occasion. Lace or tulle, red or ivory, with patterns or without, we have lots of designs to choose from that your little girl will love. What's your favorite Christmas and Holidays dress this year?